El Toro Window & Gutter Cleaning is local to the Southern Highlands, from the West of Sydney (Ingleburn and Campbelltown) to Wingello and all the suburbs in between: Berrima, Bowral, Bundanoon, Burrawang, Canyonleigh, Exeter, Fitzroy Falls, Mittagong, Moss Vale, Penrose, Robertson and Sutton Forest. Our goal is to impress with every job done, be it window cleaning, gutter cleaning or pressure cleaning. Call 0400 702 158 for a free quote. We guarantee your windows will be sparkling, and gutters totally clean. While window cleaning the inside of domestic or commercial properties, the window cleaner takes extra care by using drop sheets. We can also clean difficult to access windows at schools, factories, function centres and galleries - up to 6 stories high! We also clean the window frames and spider webs as we go, leaving a fresher, cleaner appearance. Our commercial, strata and domestic gutter cleaning service includes roof inspections. The gutter cleaner will report any problem areas or leaks, clear all the gutters and downpipes, and advise on leaf guard. We can also pressure wash your paths, driveway, garage, balcony and pool surrounds, as well as house wash - all to our professional standard. The effects of pressure washing can be amazing. It makes your house or commercial property feel clean, fresh and mould-free. El Toro sets the benchmark in the industry for window cleaning. 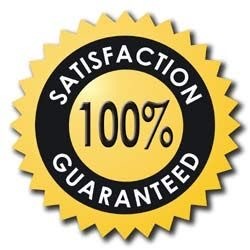 Our gutter cleaning service also leads the way in high standards, professional service and competitive prices. With our pressure cleaning and house washing service, your place will look brilliant.